An unexpected, unplanned, non-budgeted trip to Rome courtesy of Visa International. We had no idea Visa was sponsoring a contest, but we use our [Russian] Visa cards all the time. What a nice, welcome surprise to learn Rustem had won an all-expense paid trip for two to Rome over the Russian New Year holidays. In fact, we almost lost out because I didn't take the call seriously when some marketing agency called while Rustem was out of town on a business trip. They didn't say what the call was about so I just told them to send him an email. That never arrived but, fortunately, they did call back. Four nights at Rome's Savoy commencing January 3rd. The crowds were enormous since Romans were on holiday, too. Still, not a bad holiday present. Thank you Visa International! 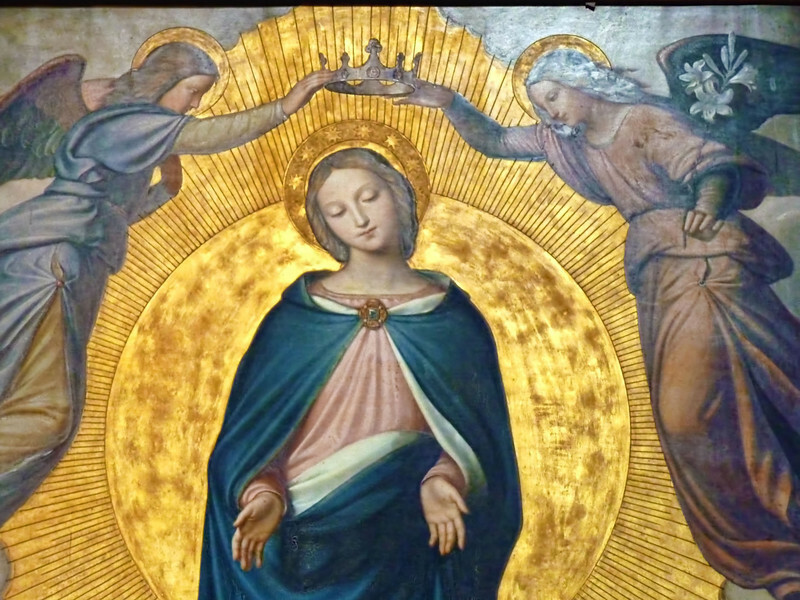 “Coronation of the Virgin” by Federico Zuccari in the Trinità dei Monti Church.